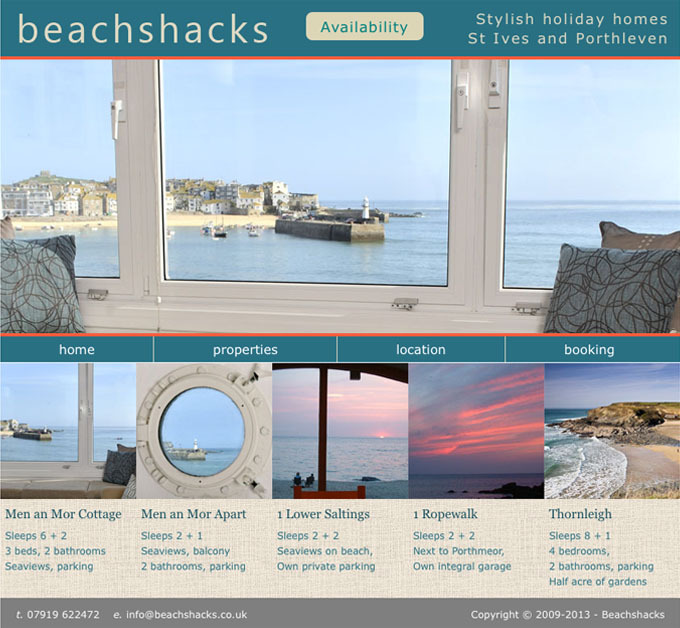 New website for the owner of holiday cottages and apartments in St Ives, Cornwall, to promote her holiday rentals. We were looking for a web design company to create our first website and Lakeland Web Design were recommended to us. Right from the start we found Jennie approachable and easy to work with and for our small company the fees were clear and affordable. Our ideas were faithfully translated into a successful website. We have continued to work with Jennie during the past 3 years for any changes and promotions, our requests are always completed promptly and efficiently, also with great patience, which for a small company like ours, new to the website process is very important. The client had created visuals of her design ideas for her proposed website in Microsoft Word. She wanted a web design company who could reproduce these ideas as closely as possible and translate them into web pages. She had previously contracted the work to another web design company who had failed to reproduce her ideas accurately. We built the stylesheets and HTML pages based as closely as possible on the client's visuals.